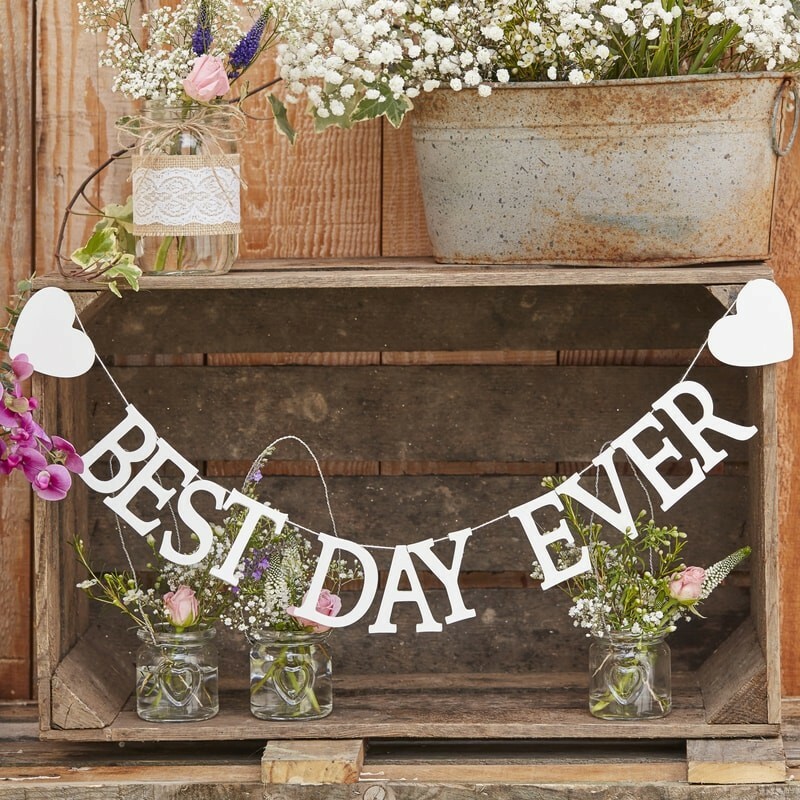 It truly is 'The Best Day Ever' with our white wooden bunting. Hang this bunting up on your special day or on your top table for a beautifully rustic decoration that will look gorgeous with any theme. Easy to hang up or attach to furniture our white wooden painted bunting is pieced together on white string and features two adorable hearts either side. Each pack contains 1 x 1.5cm (L), 6.5cm (H), 1cm (D) bunting with 13 flags measuring 6.5cm (H) each.